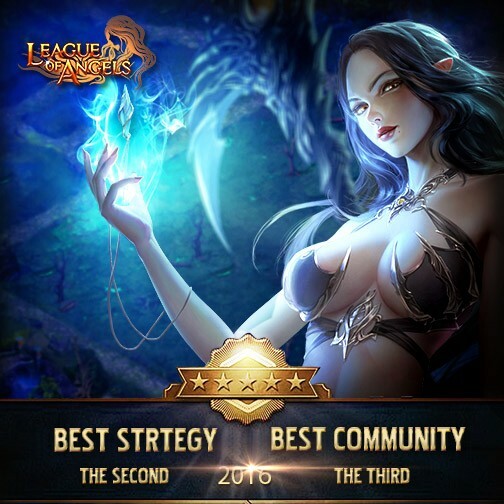 League of Angels Won the Second Best Strategy and the Third Best Community Browser Game in 2016! League of Angels Won the Second Best Strategy Browser Game in 2016! League of Angels was awarded the second Best Strategy Browser Game and the third Best Community Browser Game by MMOsite in 2016!Thank you all for your support, we could not have done it without you! In celebration of this, we'll be holding a series of events in game from Dec. 31st, 2016 to Jan. 1st, 2017 (server time)! In addition, all players who recharge via Facebook and Gtarcade will gain 99% rebate on what you paid during the event! Don't miss them out! League of Angels will continue to bring you more fun and joy in the new year and the years to come! Wish all the players a better new year than ever before!